Anime and manga lovers rejoice – especially if you live near the DC area. 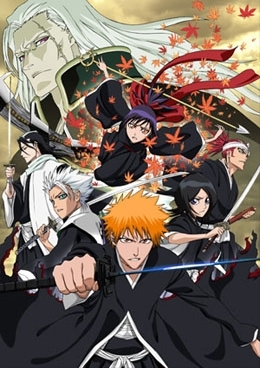 On the 24th of October, the DC Anime Club and the Japan Information and Culture Center (JICC), Embassy of Japan are presenting Bleach The Movie: Memories Of Nobody. If you want to see this movie, you just have to go to the Japanese Information and Culture Center, Embassy of Japan at 6:30 pm of that day. This is the third time I have ordered from the shop & I would recommend them to anyone. ! If you get a new prescription and need it filled that day, you can walk into a pharmacy and get it taken care of. An Annual Art Show, an Annual Costume fundraising event, and visits local schools to do presentations on anime. The club also works with the Smithsonian Freer Gallery and DC Asian Pacific American Film Festival on their anime screenings, and has helped locally promote performances for Japanese bands such as Puffy Ami Yumi and Pine am.